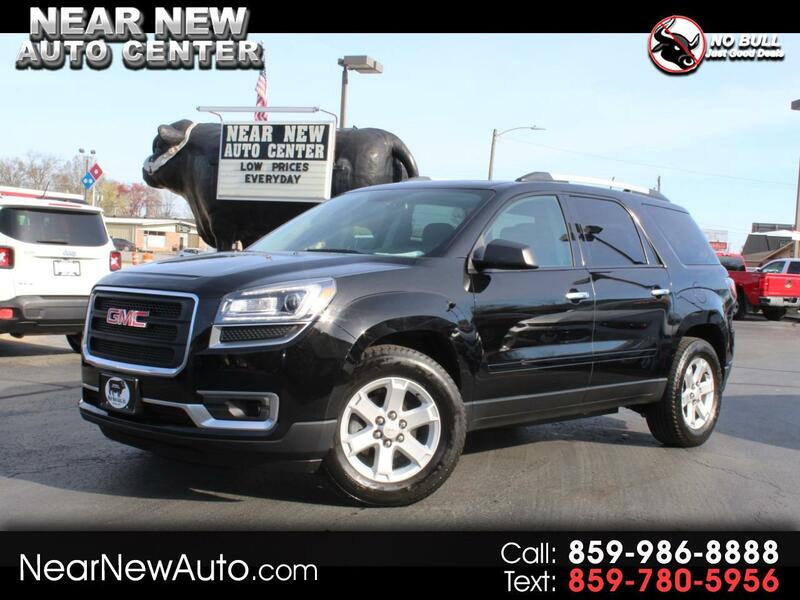 2016 GMC Acadia **Go to NEARNEWAUTO.COM for more information** Extra Clean 2016 GMC Acadia All Wheel Drive, SLE2 with Dual Power Seats, Double Sunroof, Back-Up Camera, Power Rear Hatch, Smoke Free Interior, Quad Bucked Seats, Lots of Factory Warranty Remaining, Fully Serviced, Checked & Road Tested, Buy with Confidence! Want a different picture, another angle, question about options or vehicle history? Don't hesitate to call, text, email or stop by and we will be happy to accommodate your request. In business for over 40 years at same location with owners here every day to take care of our customers. Come see the difference and take advantage of our on the lot financing and low interest rates. View our entire inventory and more pictures at www.nearnewauto.com or call, text, or email for more information.